Want to personalize this gift for more than one person? Save time using Multiple Orders. 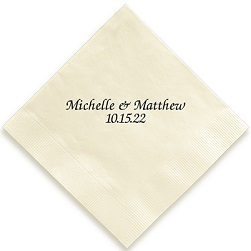 Order multiple sets of the same item, each with their own individual personalization and options. 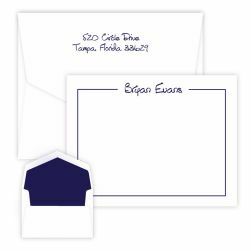 Click here to purchase just the envelopes (with return address) for an item you already have. Love the fact that you can view the finished product and the quick turn around time! Easy to order and easy to receive! Have something important to say? 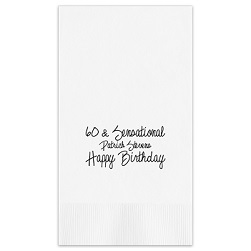 Proudly display your special message on the Expression Napkins in a lettering style of your choice. 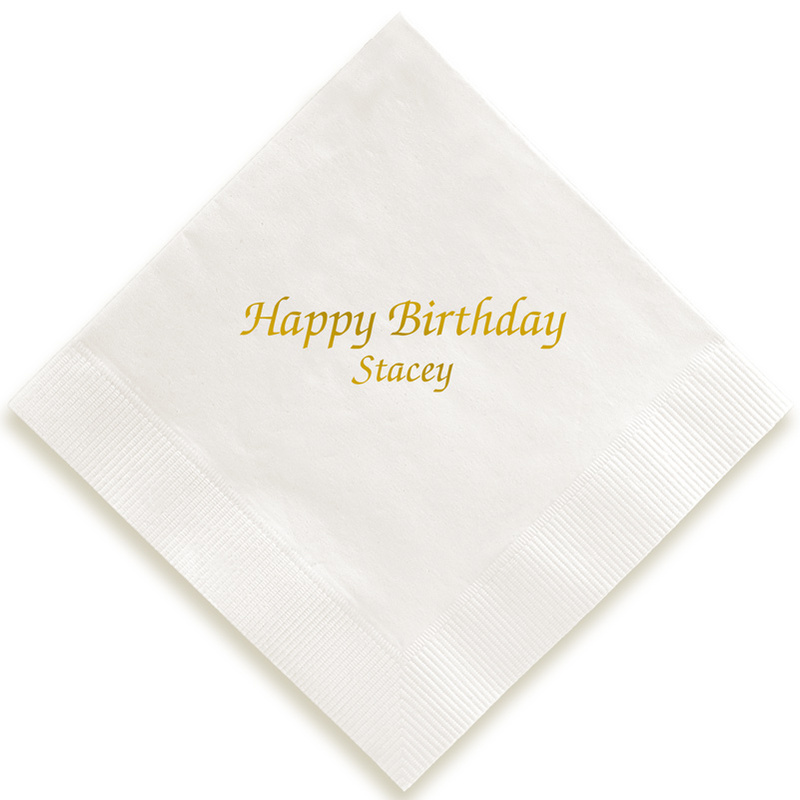 Names, dates, special occasions or sentiments stand out in any of our foil and napkin color combinations. Three lines of personalization; second line is smaller. Bordered edge. Diamond orientation. Get the CrystalClear Holder to keep 50 napkins tidy. and custom engraved gifts for the way we live today. Join GiftsIn24's communities to share ideas, tips and special offers! All materials Copyright 2019 giftsin24.com. All rights reserved.